Built out of an old dairy facility and originally situated next to a laundromat, Pulpit Rock Brewing opened its bay doors during the summer of '15. 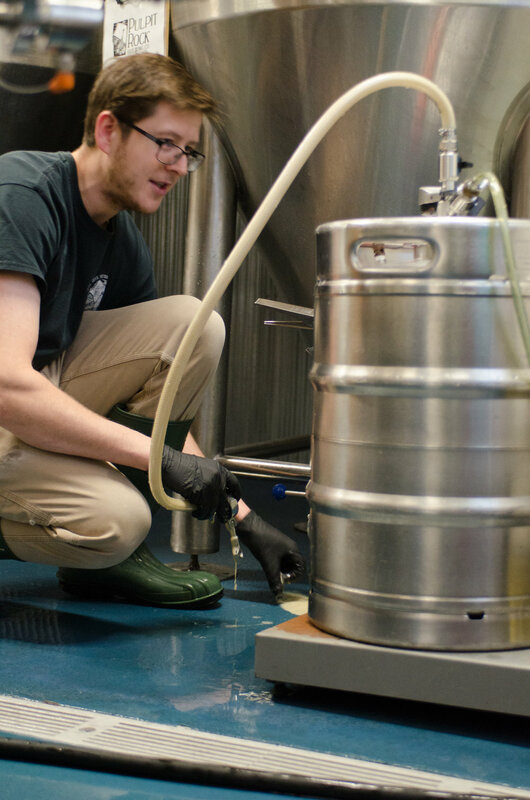 Founded by four Luther alumni, fueled by two head-brewers and driven by a small taproom team (and the occasional volunteer), this modest brewery embraces the opportunity to produce and serve exciting and innovative beers. With a rotating tap list that balances classic styles, unabashed hop-enthusiasm and adventurous flavor-infusions, we aim to provide our guests with a spectrum of tastes and experiences. For its size, Pulpit Rock Brewing's scope is broad. To us, a brewery should simultaneously respect the classics, recognize the trends and demand innovation. At its core, Pulpit Rock believes in a commitment to diversity. From day one's pilot batches, co-head brewers Robert Slack & Justin Teff were not devoted to creating a "flagship" or solely adhering to style guidelines. The unsettled pursuit of an evolving tap list was an exciting challenge. That is not to say guests won't find a delicious double IPA, a crisp Kölsch-style ale or a roasty Porter on our menu. But a routine brewing schedule of the same recipes stalls our enthusiasm for exciting flavor infusions, different hop varieties or unique yeast strains. This mentality is a core value of what Teff & Bob have named the Contemporary American Beer experience. 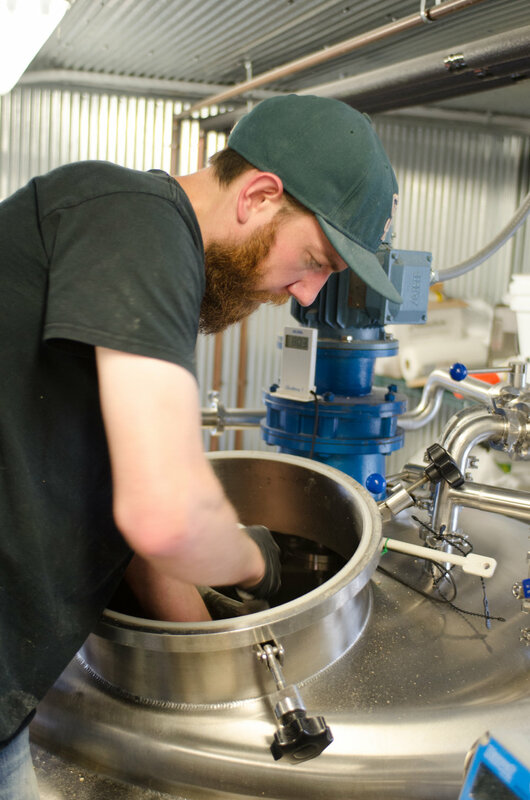 We hope you share their ethos and will visit Pulpit Rock Brewing to sample our creations. In advance, thank you. 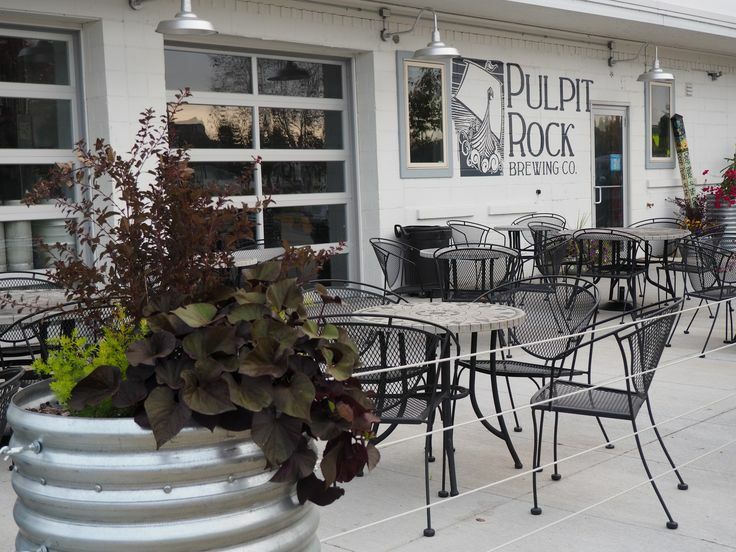 Located along the beautiful Upper Iowa River, Pulpit Rock Brewing's taproom is a peaceful stop among locals and visitors enjoying everything Decorah has to offer. Inside, our tasting room blends a cozy, rustic feeling with reclaimed barn wood walls & tabletops alongside the pride of our Founder's alma mater, Luther College. Seating for roughly 50 guests keeps things lively yet thoughtful for conversations. During the warmer months, our bay door opens to a shaded patio which doubles Pulpit Rock's capacity. 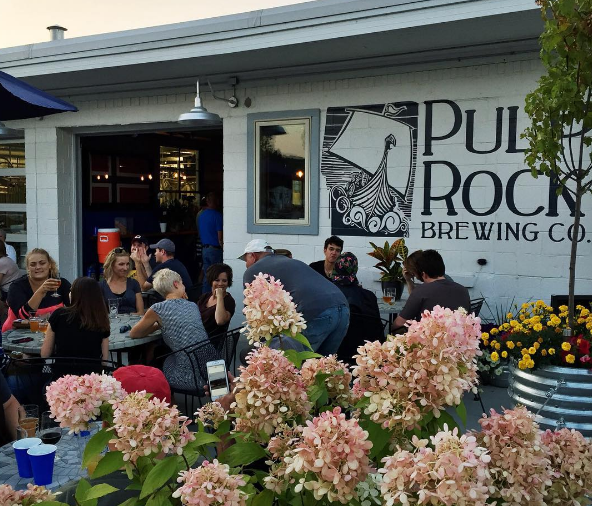 Pulpit Rock Brewing was expressly designed as a destination for people of all backgrounds and tastes. With a vibrant but balanced tap list, we encourage you to stop in and experience our approach to Contemporary American Beer. what does pulpit rock have to do with beer? Founder Peter Espinosa's mother's family hails from the Preikestolen ("Pulpit Rock," a cliff rising 1,982 feet) area of Norway. His mother fondly shared memories of the fjord's in their homeland. His goal was to locally align the brewery's name (Decorah has its own Pulpit Rock) while honoring his family. Are brewery tours or private events offered? While we do not offer public tours of the brewing facility, there are ample sight lines from the taproom and patio. Private events are welcome in our event space, please contact us via email (manager@pulpitrockbrewing.com) for details and to reserve your time with us. Do you sell beer in bottles or cans? Usually we have a couple of our beers available in 16oz 4-pack cans. We happily fill growlers from outside breweries as well. 750ml crowlers are pre-filled and available semi-regularly for purchase. Follow us on FB (https://www.facebook.com/pulpitrockbrewing) for the most up-to-date offerings. Individual bags of snack-mix are available at the bar for .50 cents each. We do encourage patrons to freely bring in food or have it delivered from one of Decorah's many restaurants. Not sure what you're in the mood for? Ask a server for our selection of local menus. Are Minors or pets welcome? Minors accompanied by an adult are welcome in the taproom and on the patio. We even have a selection of Spring Grove sodas for thirsty children. Leashed pets are also welcome on our patio. Unfortunately they are not allowed in the taproom.